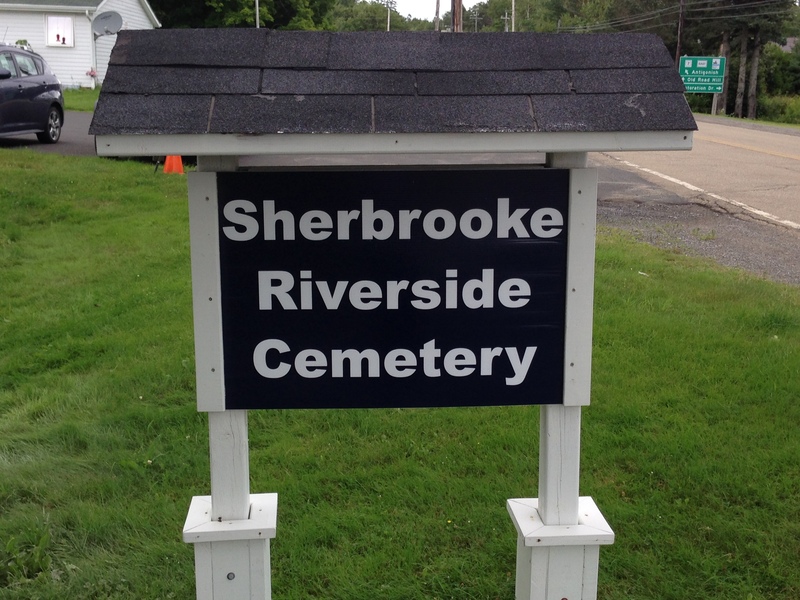 Today I was driven to a beautiful cemetery in Sherbrooke, Nova Scotia. I was there to preside at a Committal service, the funeral took place almost a year ago. The delay allowed family to travel some distance, it was a joint Committal, the husband died a year ago, the wife died in 2001. As I stood in front of 20+ people I saw headstones and green grass, sun and earth, birds and trees. I had not planned to refer to the cycle of life but there it was. I referenced all of this in my opening remarks, how this couple who had a successful urban life found peace in the rural landscape. A man who made his fortune paving roads spent his retirement harvesting berries and inhaling the clean country air. One daughter pointed out that this Nova Scotia town resembled in many ways the little community where her Dad was born and raised. Heads nodded. I am 100% urban but as I age I see the effect the rural landscape has on people. I see this effect coming more to more to funerals I help plan. In the past families would focus 100% on the accomplishments of the loved one, the family connections and affection, the community involvement. That continues but added to it is a new piece, the connection to some landscape that was sacred to this woman/man. On the Communion Table we still see the 8 X11 photo, the flower, the candle. But now we also see evidence of a connection to the land, soil from a garden, a Tilley hat worn while sailing, a photo of a hiking trail or camp ground, jams or jellies made from the nearby garden. The flower choice has changed. More and more the pretty flower from the local florist is being replaced by the flower taken from a cherished garden. Hymns are changing too. Less and less we hear The Old Rugged Cross or How Great Thou Art and more and more we hear In the Bulb There is a Flower and All Things Bright and Beautiful. At the Committal services I am now suggesting that rather than a funeral director pouring Mexican sand on the grave as I say, “Earth to earth, ashes to ashes, dust to dust” (a reminder of our mortality and connection to the soil) I invite the family to bring soil from their family’s sacred place. At one recent funeral a sister travelled from England to her brother’s Celebration of Life. She brought soil from the garden where her brother planted vegetables. Now that soil rests with her brother at the Camp Hill Cemetery. Death is always hard. Whether our loved ones die young or old saying goodbye to them is never ever easy. Grief takes time and we all mourn in different ways. One beautiful thing that Indigenous Peoples are teaching us is that the land is a source of healing in these painful times. The land gives us perspective, it tells us a story, it gives us something tangible and concrete to hold on to and feel, it warms our bodies and nourishes our souls. When I thought we had said all that needed to be said, when we were ready to leave, one man spoke up with an invitation. His voice cracking he said, “I live close by. I want everyone here to know you are welcome to come to this place.” He then went around the circle and called on everyone by name, inviting her/him to come and take in what this place has to offer. His invitation was genuine. And then we were off. But the memory of this sacred space will remain.